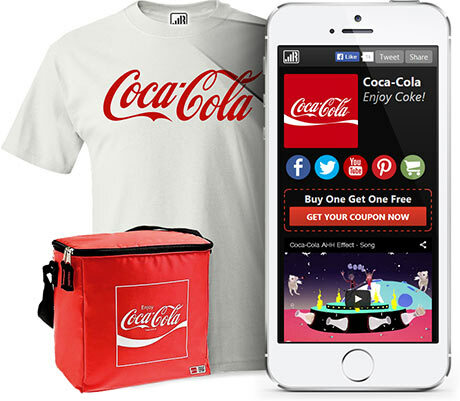 In two easy steps, get promotional merchandise that connects to every fan's mobile device. 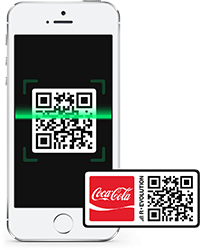 It works with any QR reader and we build it all for you. We print and serialize each individual piece of merchandise with a unique QR code called a Personal Redemption Code. 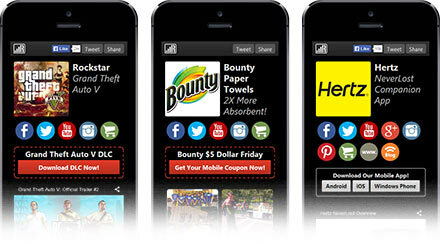 In seconds, fans easily activate codes to receive incentives and offers using any mobile device and any scanner app. 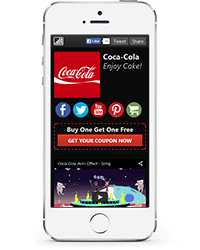 Your mobile module engages fans with controlled one-time downloads like music, coupons, apps, enter-to-win, or anything else your brand has to offer. 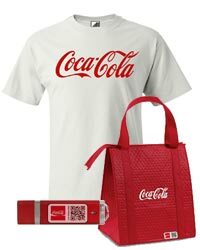 Choose from a large selection of branded promotional merchandise, apparel, and accessories. Choose the mobile module that delivers the results you need. We'll build it for you with all your branding and social feeds. Fill out this form and a sales rep will contact you and answer any questions you have.